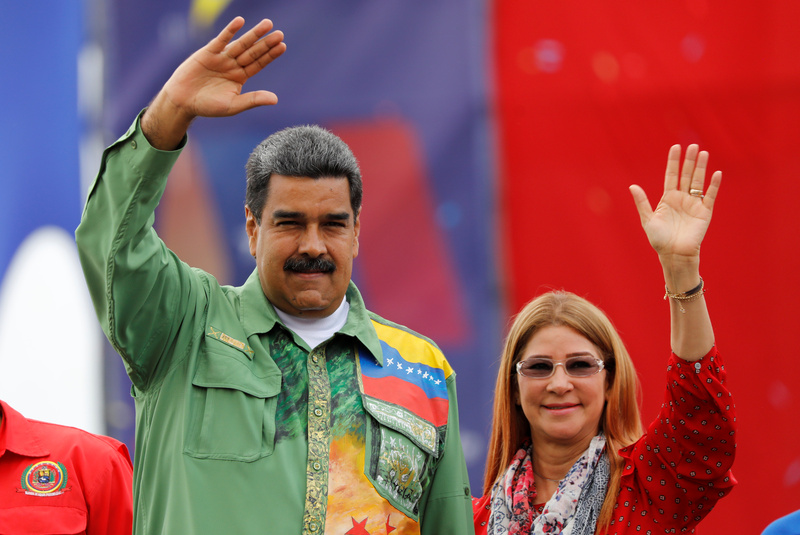 Venezuela's President Nicolas Maduro and his wife Cilia Flores greet supporters during his closing campaign rally in Caracas, Venezuela May 17, 2018. Venezuela holds a presidential election on May 20 which most analysts expect incumbent leader Nicolas Maduro, 55, to win. Opposition parties are largely boycotting the vote, saying it will be neither free nor fair. Henri Falcon, a former soldier and state governor, is nevertheless running against Maduro and leads him in some polls. The Andean country’s economy is in deep recession, with annual inflation the world’s highest at above 13,000 percent, according to the National Assembly, and oil production, which accounts for some 95 percent of foreign-exchange earnings, at its lowest level since the 1950s at around 1.5 million barrels per day.